According to Moonman‘s latest posting in his multi-platform water block comparison review, published on XtremeSystems, the EK-Supremacy is found to be the highest performing CPU water block for the latest Intel® Core® i7 LGA-2011 Ivy Bridge-E architecture CPU. 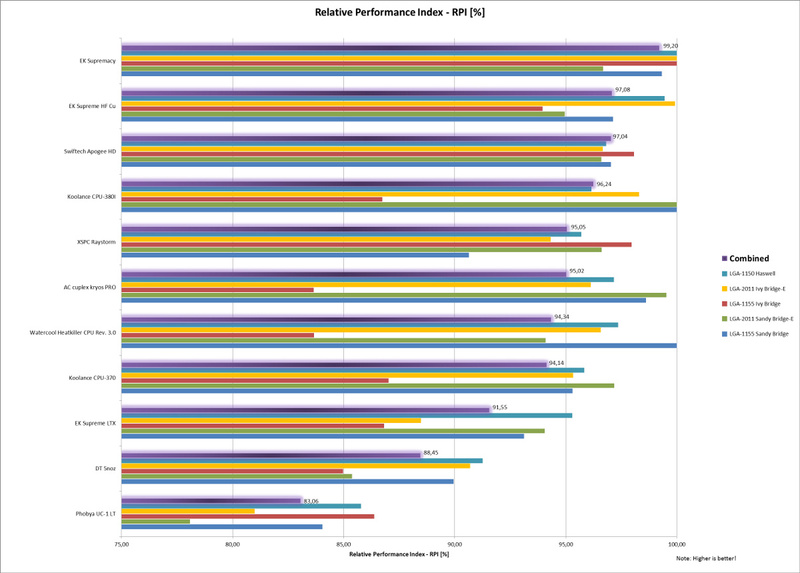 The testing was conducted using a Prime95 torture software using an overclocked Intel® Core® i7 4930K CPU to ensure high heat load state while the CPU temperature data was logged using RealTemp software. Calibrated thermocouple sensors were used to record water temperatures and the values were logged using RS-232 signal recorder. Each loop consisted of a 480mm radiator and a powerful DDC 3.2 PWM water pump. All eleven water blocks were put through the same testing pace. With 5 different platforms already tested this is without a doubt one of the largest and most rigorous testing ever published. Contrary to most reviews out there the reviewer let the numbers speak for themselves, also no award is given at no stage stage of the testing. 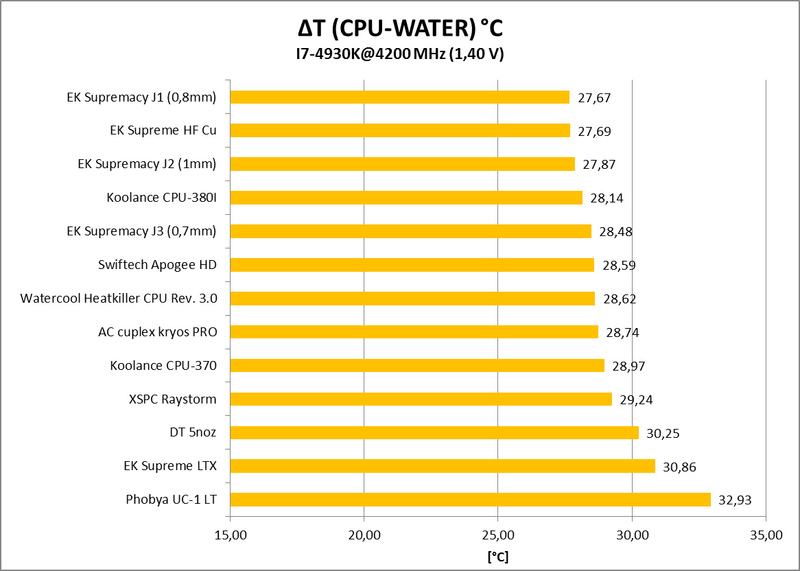 The results concluded that EK-Supremacy water block with it’s socket-specific optimized jet construction is also the best performing water cooling solution for the latest and most advanced 22-nanometer, six-core Ivy-Bridge E generation processors.